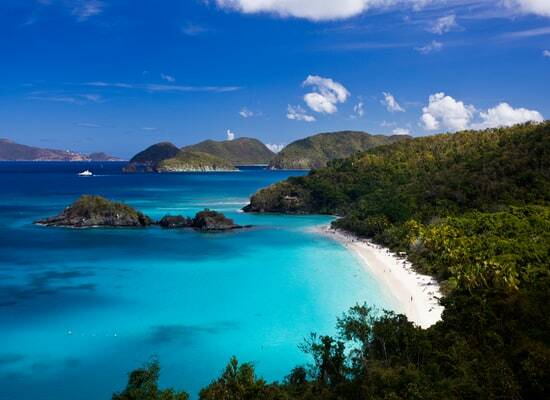 With their beautiful pristine beaches, it’s hard to resist the charm of the US Virgin Islands. Overlooking the beauty of the Caribbean and the Atlantic Ocean, this destination is full of wonderful exotic islands that lend themselves to idleness and relaxation. From St. Croix to St. John through to St. Thomas, mountainous landscapes dotted with river forests and vast coastlines await you. For an unforgettable experience, participate in water activities at the beach. Equip yourself with your snorkel and discover the rich seabed rich in marine diversity. Diving, windsurfing, fishing, parasailing, jet skiing, sailing, kayaking, surfing and hiking. Everything is offered on the islands! All seasons are ideal for visiting this paradise on earth. Last Updated: December 05, 2018 12:38 ESTThe Health tab was updated - travel health information (Public Health Agency of Canada). The only health centers available in the US Virgin Islands are the Roy Lester Schneider Hospital and the St. Thomas Community Health Center. The latter offers a range of quality treatment and an emergency room that runs 24/7. If staying in St. Croix, it is possible to go to the Juan F. Luis Hospital & Medical Center, and if staying in Saint John you will be able to use the Myrah Keating Smith Community Health Center. Pharmacies are well-supplied with quality pharmaceuticals in the US Virgin Islands, but you should always bring a first aid kit with you. In the event of a medical emergency, you should dial 911 for an ambulance. For more complex medical procedures, you will be medically evacuated to another country. Are the Virgin Islands Safe for Travel? Recreational activities and excursions Ensure coverage by your travel insurance. Use the necessary safety measures and avoid excursions unrecommended by tour operators. Do I Need a Visa to Visit the Virgin Islands? Only a passport is required to enter the US Virgin Islands. It’s a USA territory, so the passport must be valid for at until the date of departure. There’s no embassy for the Virgin Islands, you’d have to go to the one in Miami.